Timor Leste's Secretary of State for Security Francisco Guterres has now apologised for the “unwarranted use of force” against Timor Post reporter Agustinho da Costa on the night of 22 February. He promised that the security forces would ensure that this kind of incident did not recur. Military police seized Da Costa while he was delivering last weekend's edition of the paper to the printery in Dili. The police held him for 11 hours and beat him several times, leaving him with extensive bruising to the face. Meanwhile, Fretilin MP and former cabinet minister Jose Teixeira has complained to SBS TV over a recent report which he claims is defamatory. 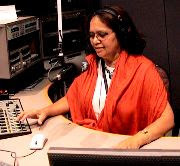 Yesterday your national news bulletin carried a report from a reporter in Timor-Leste, Maria Gabriela Carrascalao (pictured), wherein my character was seriously defamed by both Ms Carrascalao and SBS. The report imputed my involvement with the contemptible and abhorrent criminal attacks on the President and Prime Minister of Timor-Leste. Your report and the imputations regarding me in the report are false and misleading. I have denied in a press release of the 20th of February 2008 that would have been accessible denied any involvement with these events. A press conference was also held by the FRETILIN parliamentary group on my behalf making it clear that this was based on nothing more than a political witch hunt of me and FRETILIN. Facts would also have been available to your reporter yesterday that on February 20, the day after I was the subject of the police action, the prosecutor general himself stated that the police had acted "outside procedures", and that I was not and have never been a person named in a list provided by the prosecutor general to the police for questioning. After being taken into the Dili Police Headquarters without either a warrant or another lawful reason, and in total disregard of my immunity as a member of the Timor-Leste National Parliament, I was informed by the commander of the National Investigations Division, a joint Timor-Leste Police and UN Police unit, that they did not have any requirement for my presence for questioning. However, given the lateness of the night and after interventions on my part by some of the FRETILIN leadership, I was allowed to and in fact driven to a friend's residence where I stayed for the evening. The fact that I was taken in 45 minutes before the commencement of the nightly curfew period is significant, as I was informed the following day by many police that many people were picked under similar circumstances to myself who were detained overnight at the police station but released in the morning for want of any basis of evidence whatsoever. I presented the following morning as agreed with the commander of the National Investigation Division and gave a short statement. However, the police who took my statement did not have any facts to put to me because they had not been involved in bringing me in and other than a general knowledge of being brought in as a witness, knew nothing else. After giving a short statement I was allowed to leave unimpeded and without further requirements from the police. However, prior to leaving, the senior UN Police officer requested to speak with me and reiterated what had been told to me by the Timorese National Investigation Division Commander, that being that I was not named or known to them on any list provided by the Prosecutor General's Office from whom they took their instructions during the investigation of the events of 11th February 2008. On the evening of my being subject to police action, a senior FRETILIN leader spoke to the Deputy Commander of the Timor-Leste National Police Operations who informed him that he was aware of the operation against me and ordered it. Though asked, he declined to comment on who gave him orders to order the operation against me. It is known that the prosecutor general's office was not aware or involved with the operation and nor was the National Investigations Division. The fact is that orders were given and FRETILIN and I are demanding in Parliament to know, as was demanded in the media conference on February 20, exactly who ordered that I be taken in for questioning. All these facts were readily ascertainable by your Dili reporter had she bothered to seek information or even a comment from myself or other FRETILIN spokespersons, so as to report in a more balanced and truthful manner. I have consistently denied knowing any of the persons suspected of being involved, including the deceased Reinado or of in any way having any involvement whatsoever with them or any of their activities whatsoever. It is our firm belief that the police action against me was a politically motivated action with the knowledge of the government, aimed at tarnishing me good name and to undermine the effectiveness of my role as a FRETILIN media spokesperson and liaison officer. FRETILIN has and will continue to insist on an answer as to who gave the orders to the police to take the action they did against me. I am currently taking legal advice and intended to commence all relevant legal proceedings in whichever jurisdiction may be necessary to seek to remedy the extensive damage that has already been sustained by my previously good name and character as a result of your defamatory report and other reports as well. In the interim, I hereby demand that you broadcast a retraction taking into account the facts that were already available to your reporter and your network when the story ran last night. This will only go a small way to remedying the damage already sustained by my hitherto good name and character. The action by the Immigration Department, with the approval of the Minister, was taken without due process being followed, without regard for is fundamental rights, without him having access to legal advice, nor any consideration for the plight of his family. He was taken from his home at 8.30 at night and transported to Nadi airport. Furthermore, the deportation took place despite an order from the High Court in Suva restraining the Director of Immigration from deporting Mr Hunter. The Minister’s justification for the deportation is that he is a prohibited immigrant under the new immigration act that came into force on January 3, 2008. No specific details of what Mr Hunter is supposed to have done were given. Hunter said on arrival in Australia the Fiji media should carry on undeterred. Asked why he had been declared a 'prohibited immigrant', he said: "In my view, the fact that we revealed Mahendra Chaudhry's tax evasion and secret overseas bank accounts." Interviewed on Radio NZ International, I warned of a new crackdown on Fiji media, adding: "The regime thinks the media should perform a parrot-like role but there is a long tradition of vigorous and free journalism in Fiji. The current media are upholding that tradition very well." UNSURPRISINGLY, Dr Jim Anthony, who made headlines last year as the controversial choice to head an "inquiry" into the media organised by the Fiji Human Rights Commission, fired off a salvo to the Fiji Times : "... Good riddance to bad rubbish. All other foreign journalists on work permits in Fiji ought to be put on notice: all their permits will not be renewed. Fiji ought to get its act together and train and promote its own people to report the news fairly, accurately and in a balanced way right across the board ... Australia and New Zealand are not necessarily the only beacons of hope or measures of decency in the world." Among other major flaws, Anthony's media report was astoundingly flimsy about the degree of training and education that does go on in Fiji, ie the long-established University of the South Pacific journalism and diploma degree programmes and also the fledgling FIT course. (Netani Rika's view of the report? "Malicious, full of conjecture and untruths" ). In an editorial headed WE ARE NO THREAT, the Fiji Times said: "The deportation of Fiji Sun publisher Russell Hunter as a security risk to this nation is deplorable. And his treatment as a human being was reprehensible. Taken from his home under the cover of darkness, he was driven to Nadi without being given time to change or say a word of farewell to his wife Martha and their daughter ... Even convicted fraudster Peter Foster was treated better than Mr Hunter." Paris-based Reporters Without Borders (RSF) has condemned what it describes as the Fiji Appeal Court's harassment of Leone Cabenatabua, editor of the Fiji Sun, and Virisila Buadromo, head of the Fiji Women's Rights Movement (and former journalist), who were summoned and warned by the court on 12 February 2008 because of an article quoting Buadromo in that day's issue criticising the military-led government's appointment of new judges to the court. "The judges exceeded their prerogatives by trying to intimidate a newspaper editor who just published an activist's views on a violation of the rule of law," the press freedom organisation said. Questioning the independence of the Fijian judicial system, Buadromo's article described the appointments as illegal and said they were an attempt by the military to legitimise their December 2006 coup. It was the three judges named in the article - Daniel Gounder, Nazhat Shameem and Jocelyn Scutt - who summoned Cabenatabua and Buadromo. No charges have been brought against them. The Sun's editor-in-chief, Russell Hunter, clarified his newspaper's position in an interview with Radio Australia's Pacific Beat reporter Bruce Hill, whose interview was partially carried by Radio Fiji: "You have to listen to what the Court of Appeal tells you - but at the same time you have to exercise editorial judgement. I guess you'll try and fall in the middle somewhere." 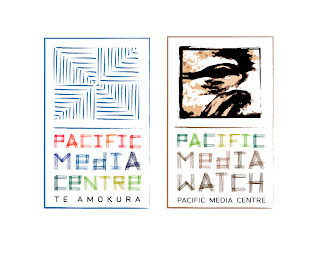 Meanwhile, the decade-old Sydney-based Pacific Media Watch is being reestablished as a digital research repository at AUT University's Pacific Media Centre and will be available soon in its new format as a public domain searchable media resource. In Timor-Leste, the case of a beaten up AFP journalist is being investigated and censorship by the Australian-led military authorities is a growing concern. BOUGAINVILLE is re-emerging from the long shadows of its armed struggles and is discarding her dreadlocks to sport a new look of a young maid just entering womanhood. In doing so, she is quickly catching the attention of every eligible bachelor in the region, most of whom want her hand in a marriage of convenience attracted by the vast richness of her mineral wealth and natural resources. But like all good girls brought up to observe the strict protocols of custom but educated in the ways of the Western civilisation, she is leaving the final decision to her uncles and aunties in the ABG house of representatives because not only is her marriage the question but who the potential groom could be and more importantly the bride price and its beneficiaries. ... The only company that has made a tangible investment on the island is Invincible Resources, a company that not many people, even Bougainvilleans, come to know of but according to company executives, Invincible Resources’ K20 million given to Bougainville is for capacity building so that "Bougainville gets out of the mess quickly". The PNG government is still negotiating with the ABG over powers to regulate mining, petroleum and gas resources on the island. During the last meeting in Buka, Prime Minister Sir Michael Somare and his deputy Dr Puka Temu requested that while mining, petroleum and gas powers were transferred to the ABG, mineral rights over Bougainville should remain with the PNG government. ABG President Joseph Kabui has rejected their request. A news media group - APN News & Media (ANM) - has been nominated as a "finalist" in the annual Roger Award for New Zealand's worst transnational corporation. People - Unemployment, impact on tangata whenua, impact on women, impact on children, abuse of workers/conditions, health and safety of workers and the public, cultural imperialism. Environment - Environmental damage, abuse of animals. The judges are: Laila Harre, from Auckland, national secretary of the National Distribution Union and former Cabinet Minister; Anton Oliver, of France, former All Black and environmentalist; Geoff Bertram, from Wellington, Victoria University economist; Brian Turner, from Christchurch, president of the Methodist Church and social justice activist; Paul Corliss, from Christchurch, a life member of the Rail and Maritime Transport Union and Cee Payne-Harker, from Dunedin, industrial services manager for the NZ Nurses' Organisation and health issues activist. To celebrate the fact it is 10 years since the first Roger Award event (also held in Christchurch) and that 2008 is election year, CAFCA is holding a conference - Privatisation By Stealth: Why This Discredited Practice Is Still On The Political Agenda - on that same day (March 16), to precede the Roger Award event. The Roger Award is organised by CAFCA and GATT Watchdog and is supported by Christian World Service. A state of emergency has been declared in East Timor as authorities try to work out whether yesterday's assassination attempt on the Prime Minister and President was the work of a few or many. As ABC's AM reports: President Jose Ramos-Horta is still gravely ill in Royal Darwin Hospital after being shot three times by a group of heavily armed men. The Prime Minister, Xanana Gusmao, was luckier. He managed to escape unhurt when more gunmen opened fire on his motorcade. East Timor has been plunged into a new crisis by failed assassination attempts on its two top leaders and the killing of a rebel military leader. East Timor President Jose Ramos-Horta was shot and wounded in a dawn attack on his Dili home by gunmen led by rebel soldier Major Alfredo Reinado, who was killed in return fire, the government said. A presidential guard was injured. Timorese Foreign Minister Zacarias da Costa said Ramos-Horta had undergone exploratory surgery at the Australian military hospital in Dili. Da Costa described the president's condition as "stable". "He underwent surgery to locate bullets. One had hit him in the back and passed through to the stomach," he said. It is understood Ramos-Horta will be flown to Darwin for further treatment. Royal Darwin Hospital is on standby. "He will survive, and this country will survive", said Deputy Prime Minister Jose Luis Guterres. Ninety minutes after the first attack, Prime Minister Xanana Gusmao escaped unhurt when his car was ambushed and shot at as he drove to his offices to deal with the crisis. Gusmao's home was also attacked, bodyguards said. 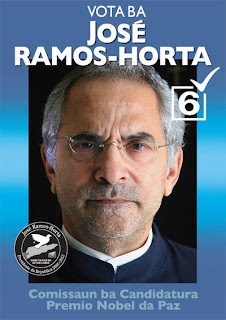 Pictured: A election poster during last year's election campaign that swept Ramos-Horta to the presidency. Dylan Quinnell, one of AUT's crop of graduating young journos, has had an eye-opening experience in his Jakarta sojourn for international reporting. He has filed stories, pix and a video - an ultra brief one - on Suharto's death (see outside Suharto's house below). He has also been keeping us up-to-date with a regular blog at the Pacific Media Centre. An interlude from the Pacific with an item on rugby. Considering the passion for the game in New Zealand, it is astonishing that the media is still so parochial in its coverage. For example, the refreshing French 27-6 victory over Scotland in the Six Nations at the weekend - four debutantes and three converted tries to none - should warrant decent coverage. The country's major newspaper, the New Zealand Herald, could only find room for one line - the score in the results section (not even a breakdown of the scorers). How bizarre, given that only three months ago, the French team was responsible for the All Blacks' humiliating exit from the World Cup. Disappointed that France didn't go on to win the cup after dispatching the favourites, new coach Marc Lièvremont's axe has been wielded heavily on Les Bleus cup team. But one of the inspirational players at the weekend was young French-Vietnamese flyhalf Francois Trinh-Duc (pictured) from Montpellier. He is certainly somebody quickly making an impression on the game. One of the leading global rugby writers is Ian Borthwick, a Kiwi writer on the French sports daily L'Equipe. Yet we rarely see pieces of his in New Zealand media. Borthwick's writing on French rugby in the Scotsman and Scotland on Sunday was far more perceptive than anything run in the NZ media since before the start of the World Cup. Walk with me back to June 2006. In that month the impish Thomas Castaignede was handed the 10 jersey against Romania. Thomas, bless him, lasted a single match before making way for Damien Traille who held on to it for four. Then it was David Skrela's turn. He also played four games against Italy, Ireland, Wales and England before getting booted out in favour of Lionel Beauxis who managed one before the baton was passed to Benjamin Boyet for France's 2007 tour to New Zealand. Too much to hope that Benjy would hang on to his place against the mighty All Blacks? Yep. Boyet had two outings and was summarily dumped. Next, Skrela and Beauxis job-shared so-to-speak for France's World Cup warm-up games against England (twice) and Wales before Freddie Michalak entered stage left for the tournament proper, whereupon the trio mixed and matched for the remainder of the competition. And now it's poor Trinh-Duc's turn. But Trinh-Duc played impressively against Scotland in his debut.